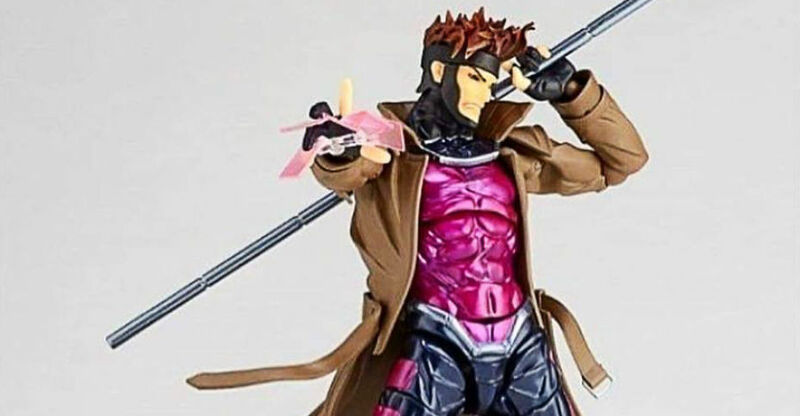 Yesterday, we shared some of the first photos and details for the upcoming Marvel Comics – X-Men Gambit Amazing Yamaguchi Revoltech Figure. This morning, Kaiyodo has shared higher resolution images and further details. The figure stands nearly 6.7″ tall and have about 46 points of articulation (including multiple moveable joints in the trench coast). Gambit will include multiple interchangeable hands, energy infused playing cards, a staff, and interchangeable face pieces. The new details also reveal that the faces will have moveable eyeballs. Gambit is scheduled for release on March 30th, 2019. The figure is priced at 7,200 Yen (about $64 USD). Toyark sponsor Hobby Link Japan has a pre-order up for under $60. See the updated photos after the jump. 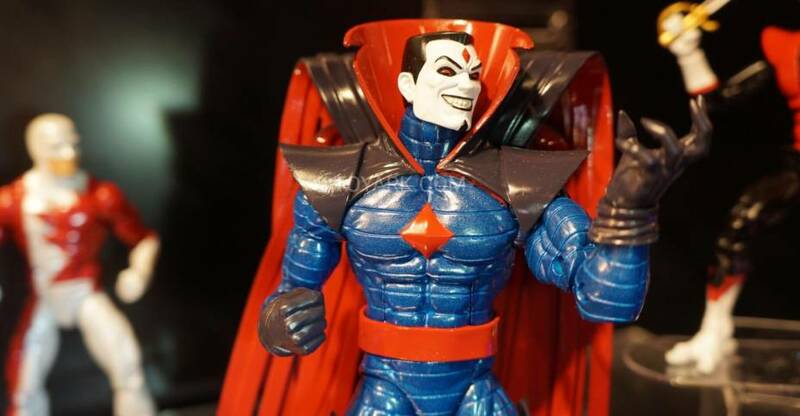 The newest Marvel Comics Revoltech Figure has been revealed by Kaiyodo. 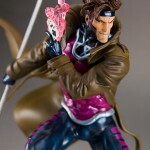 The Figure Complex- Amazing Yamaguchi Gambit Powered by Revoltech Figure will be released in his classic X-Men costume. The 6″ scale figure will include multiple interchangeable hands, energy infused playing cards, a staff, and interchangeable face pieces. We will update with additional info and better photos once they become available. For now, see the new images by clicking the headline of the story. 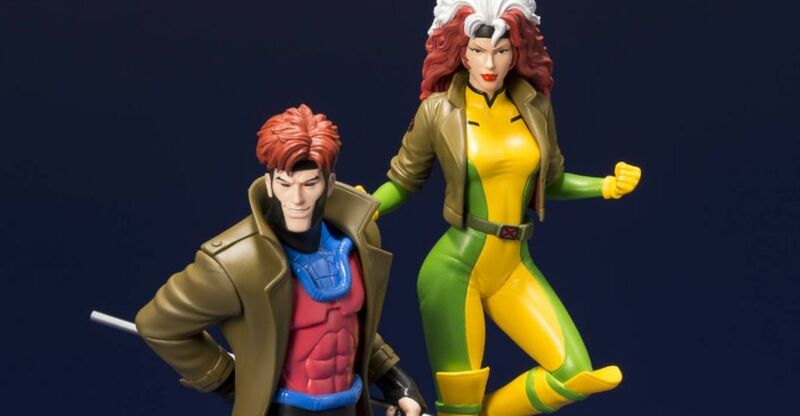 Kotobukiya has released a few official photos for their new Gambit and Rogue ARTFX+ Statues from the X-Men 1992 Cartoon. These 1/10 scale statues stand about 7″ tall. Pre-orders haven’t gone live yet. We’ll update with official details and pricing once revealed. PRevious 2-packs have been about $90, so expect these to be close to that price. Click the headline of the story for all of the images. 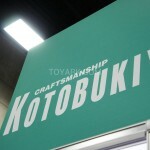 Here’s a gallery of the Kotobukiya display at San Diego Comic-Con 2012. Lots of statues and items for Star Wars, DC Comics, Marvel, Yu-Gi-Oh, Mass Effect and Tekken. 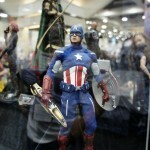 Here’s photos of the Sideshow Marvel display at San Diego Comic-Con 2012. Includes the Hot Toys Avengers figures. UPDATE: All Marvel Sideshow images are up now including the impressive Doom and Galactus Legendary scale figures, new upcoming Premium Format figures of Deadpool, Spider-Woman, and Scarlet Witch, and several more impressive statues and busts! Kotonukiya’s Facebook Page has been updated with another new Marvel Statue. 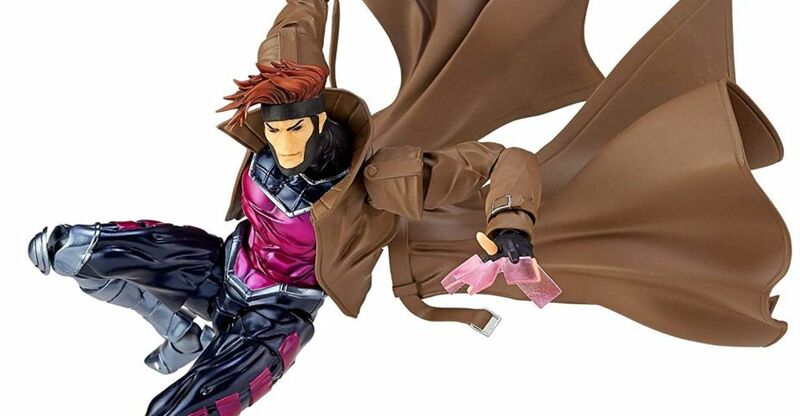 They have added new photos and info for their upcoming X-Men Danger Room Sessions Gambit Fine Art Statue. Next up in the amazing X-Men Danger Room Sessions Fine Art Statue series is the renowned Cajun thief and mutant hero Gambit! Born Remy Etienne LeBeau in New Orleans and kidnapped into the Thieves’ Guild, Gambit had to grow up tough and clever. Of course, his mutant powers also helped; he is able to charge objects with bio-kinetic energy. Gambit keeps an array of items with him that he can use in battle, but his signature weapons are his staff and a seemingly endless supply of playing cards. 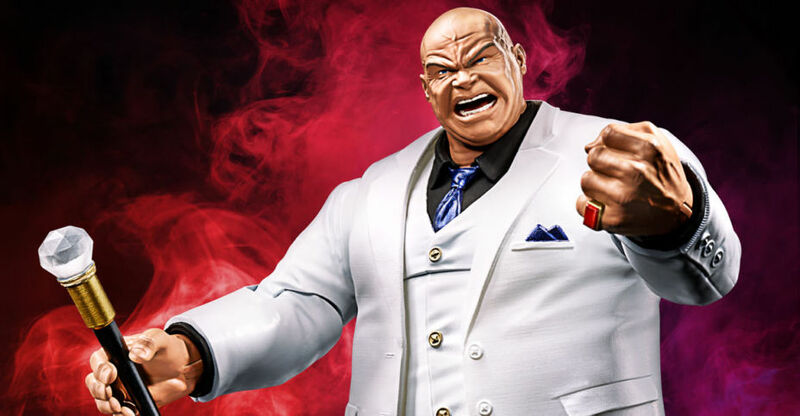 Despite, or because of, his troubled past and occasional relapses, Remy is one of the most popular characters in the Marvel Universe and an X-Man in good standing. Being a member of the team means that Gambit has seen his fair share of training exercises in the Danger Room. Ever since the early days of Marvel Comics’ mutant adventures, “X” teams have trained together in the ultra high tech facility known as the Danger Room, equipped with state of the art adaptive combat and athletics routines that challenge each participant in unique ways. The training facility has been featured prominently in X-Men comics over the years, as well as in various cartoons and the third X-Men film. Always confident in the face of overwhelming odds, Gambit shows he’s ready for action in the midst of a particularly harrowing training session. Garbed in his unique metallic blue, purple, and silver costume, the X-Man stands tall in a battle-ready stance with his signature brown overcoat whipping in the air behind him. Gambit carries his two favorite weapons with his bo staff in his right hand and a trio of playing cards fully energized (via a stunning translucent pink effect) in his left. 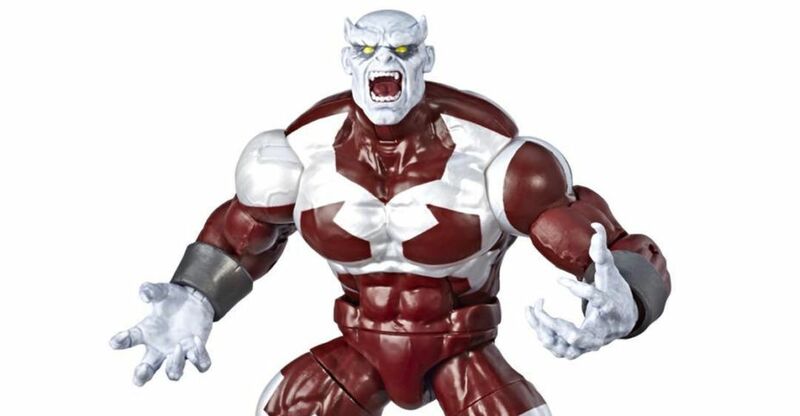 The mutant hero’s sculpt is top notch, bringing to life every element of his clothing and his athletic physique. Gambit’s wild hair erupts from the top of his open-faced cowl, while his face captures the character’s devil may care smile perfectly. Sculpted by Erick Sosa, the “Ragin’ Cajun” stands 11 inches tall, in perfect 1/6th scale with the other Danger Room Sessions members (Wolverine, Psylocke, and Colossus). 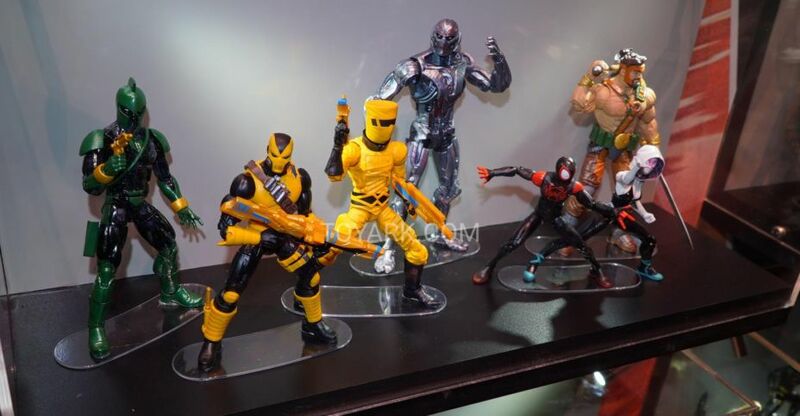 Also like them, Gambit is poised on a unique Danger Room holographic environment base. The wily and cocky Cajun has never looked cooler, and is the perfect addition to the Danger Room Sessions lineup!